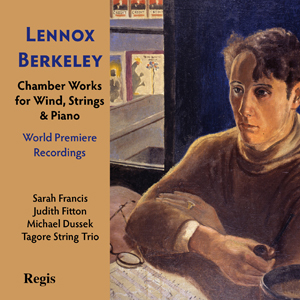 Regis presents a brand new recording of the chamber works of Lennox Berkeley including two world premieres. Regis has had a long association with oboist Sarah Francis (there are six existing recordings in the catalogue) and is delighted to collaborate with her in this project. Sarah discoveredthe manuscripts for the new works in the Royal College of Music library and they are presented here with other works for similar forces. Extensive liner notes are provided by Berkeley’s biographer, Peter Dickinson. Super-budget price.